Maytag manufactures many different appliances, including refrigerators, dishwashers, washers and dryers. Maytag washers are either front-loading or top-loading. If your Maytag top-loader is not working properly you may need to open the cover to access internal components. 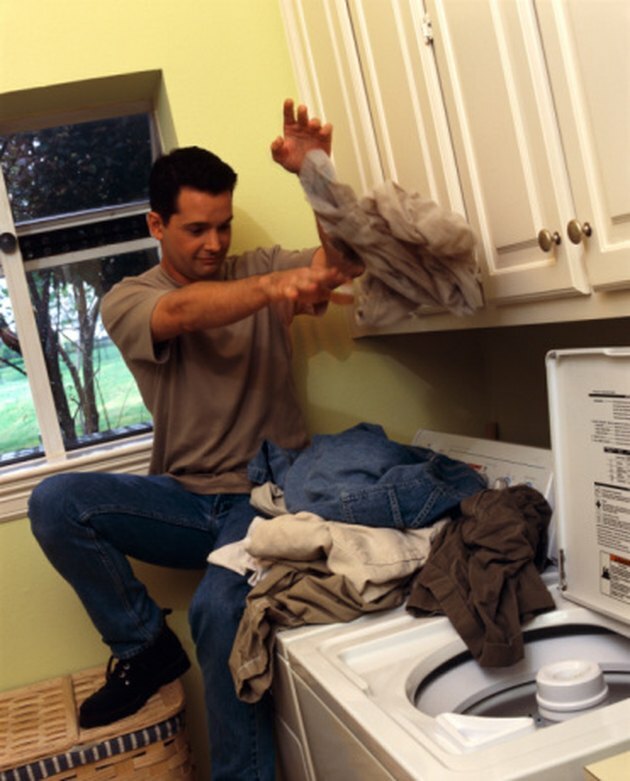 You should never open the washing machine unless you have experience with washing machine repair. Remove all of the clothes from the washing machine, then disconnect the power to the appliance. Power can be disconnected by either unplugging the washing machine from the wall or by turning off the breaker in your fuse box. Remove the two screws on the bottom of the front panel of the washing machine. Pull the bottom of the front panel out to release the two tabs at the top of the washing machine. Remove the panel once the tabs are released.